Ultrasonic sensors provide the coverage needed when optical sensors reach their limits. This is why Baumer has expanded its portfolio of NextGen sensors to include the new series U500 ultrasonic sensor. 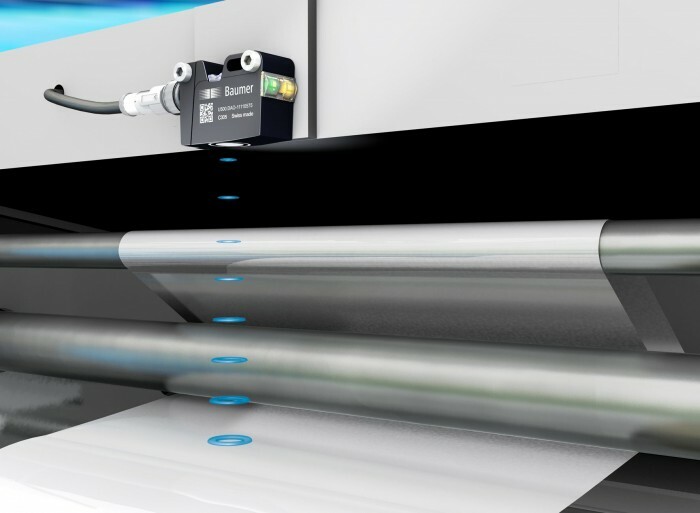 With the same design, dimensions and application concept as the series O500 photoelectric counterpart, the U500 sensor by Baumer provides even more flexibility as early as during the system planning stage. The ultrasonic sensor offers several advantages over photoelectric sensors. The measuring principle makes it possible to detect transparent, high-gloss and multicolored objects – in solid and liquid form. With a sensing distance of up to 1,000 mm, the U500 also offers the greatest range in its class, while also being dust and dirt resistant. A further advantage is the narrow, symmetrical sonic beam angle, with a diameter of only 80 mm at an object distance of 500 mm. This allows the U500 to be used in applications with very cramped spaces. As with all NextGen series sensors, the U500 also features the practical qTeach and qTarget technology in addition to the Baumer OneBox design: qTeach allows the sensor to be taught-in without causing wear simply by touching a ferromagnetic tool. qTarget also saves installation time: By design, the sonic beam angle is aligned to the fixing holes so that the U500 can be correctly incorporated into the CAD design plan early on. Moreover, this sensor is distinguished by its exceptional reliability and resistance. In addition to its rugged housing (IP67), the new transducer technology also integrates switching technology and is impervious to dirt, water droplets and cleaning agents.